Note: Todays workout is all about developing speed, coordination, accuracy and agility. This is intended to be an intense day of training, with relatively low impact on the body. We’ve got some big workouts in store for us this week! Congratulations to Jim who was recognized as Athlete Of The Week. June will mark Jim’s fifth year of training at CrossFit Amundson! A few months before the gym formally opened, Jim noticed there was paper on the windows, and it appeared someone was inside. That person was Coach, who was painting, laying out matting, and setting up the gym! Jim and Coach immediately became friends, and he rest is history! 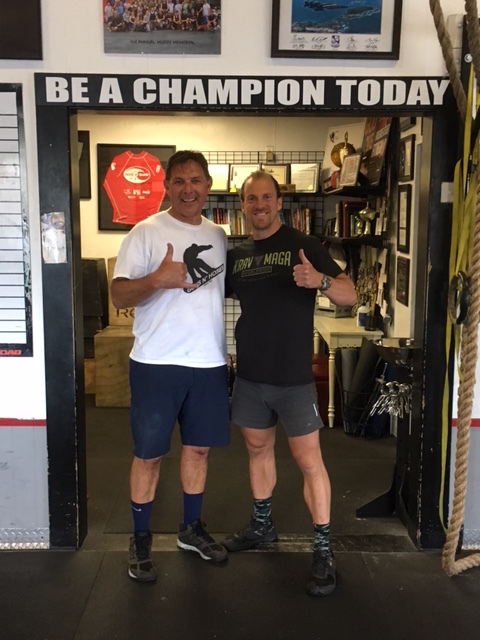 Jim is respected as one of the best Concept2 Rowers in the gym, and an Athlete who trains hard in the gym to be of greater service to others as a Fire Captain. Jim is always quick with a kind word and has an incredible sense of humor. A natural leader, Jim is the kind of guy you feel compelled to follow and learn from. Congratulations Jim on all your success, both inside and outside the gym, and thank you for your service in our community.